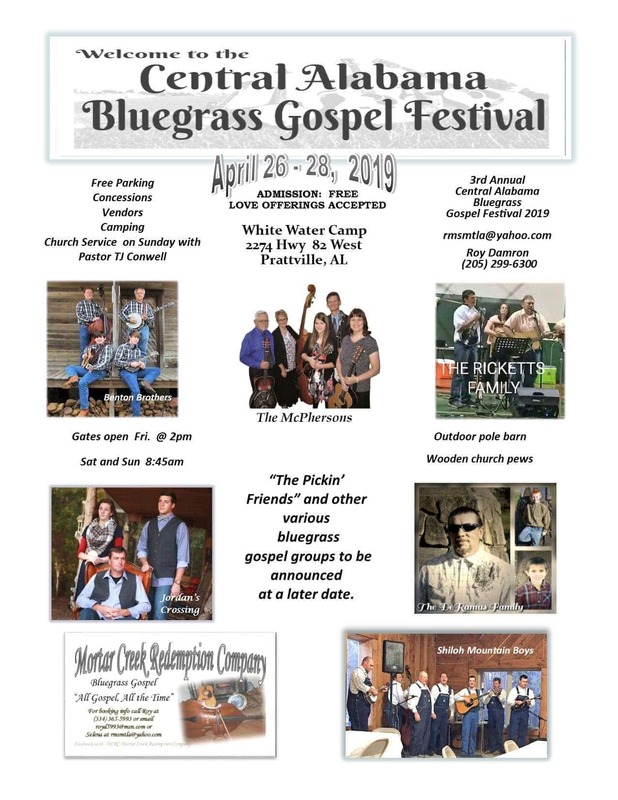 The 3rd Annual Central Alabama Bluegrass Gospel Festival will be held April 26-28, 2019 featuring The McPhersons Mortar Creek Redemption Company, Shiloh Mountain boys, Benton Brothers, Jordan’s Crossing, The DeRamus Family and more! The Festival will be held at White Water Camp, 2274 Highway 82 West in Prattville, Alabama. Gates open Friday at 2:00 p.m., Saturday and Sunday at 8:45 a.m.